Bonaire, Dutch Caribbean – Bonaire is known for its world class diving, as a favorite snorkeling destination and as a challenging spot for windsurfers. The following is a list of Bonaire’s newest activities and options, including the latest in dining, special programs and upgrades from the island’s service providers helping to make planning your vacation in Bonaire easy and fun. Monthly Farmers’ Markets: Organized by Go Green Natural & Organic Shop, the monthly farmers’ market is held the last Saturday of each month. Small in size, but large enough to be able to mingle with the locals, enjoy investigating the various booths filled with local plants, fruits, vegetables, herbs, and other locally grown or hand-made items. Get there early for the best selection. 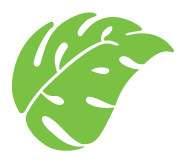 For more information, contact Go Green Natural & Organic Shop at info@gogreenbonaire.com or visit their web site at http://www.gogreenbonaire.com. Outback Yoga Bonaire: Opened in the fall of 2011, OutBack Yoga has increased its class schedule to accommodate the high demand. Taking a yoga class while visiting Bonaire is a great way to maintain flexibility and connect with the environment around you. Basic, intermediate, or advanced level classes are offered. Classes may be taken on a walk-in basis, or cards for five or ten sessions also are available. For more information and to view their class schedule, visit their web site at http://www.aplaceforyoubonaire.com, or send an e-mail to info@aplaceforyoubonaire.com. Flamingo Spa: No one ever needs an excuse to be pampered. After a day of diving, snorkeling, windsurfing, hiking, or biking, there’s no better way to unwind and get the knots worked out than to indulge in a relaxing massage or other lavish body treatments such as a facial or pedicure. Flamingo Spa, located in the northern area of Bon Bida Spa & Gym, offers a full menu of massage and body treatments using only natural ingredients in their products. Be good to yourself! For more information, visit their web site at http://www.flamingoservicesbonaire.com or send an e-mail to info@flamingoservicesbonaire.com. Washington Slagbaai National Park’s Hiking Trails: For all those visitors who think they have “done it all on Bonaire,” there’s always something new to explore and learn about the island. Hiking the three trails in Washington Slagbaai National Park is probably something that can be added to the Bonaire bucket lists of the majority of the island’s visitors. The park has three established hiking trails, with varied levels of difficulty. Two are accessible from the Park’s entrance area–The Lagadishi Trail and the Kasikunda Climbing Trail. The Subí Brandaris Trail is a 45-minute hike to the highest peak on Bonaire, 784 feet (241 m) high and offers vistas to both Curacao or Venezuela on clear days. For more information about these hiking trails, visit STINAPA’s web site at http://www.washingtonparkbonaire.org or send an e-mail to washingtonpark@stinapa.org. Jentis Tours: This sightseeing company offers a variety of tours and coupled with their distinctive “local touch” provides a unique service to visitors. 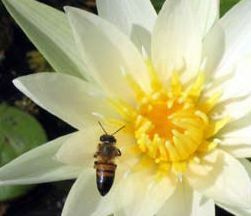 Jentis Tours is proud to announce a new and popular Nature Walk Tour. The tour gives a glimpse of the beautiful flora and fauna of Bonaire and a bit of history on how the early natives used to live. Another best seller is the Cave Snorkel Tour; participants visit two different caves to explore and snorkel on a side of Bonaire that is not seen anywhere else. For more information, telephone +599 7964191, visit their web site at http://www.jentis-tours.com, or send an e-mail to reservations@jentis-tours.com. Follow Jentis on Facebook to be kept apprised of current specials. Bonaire Tours now offers their Aquafari Bonaire tour, an off-road adventure to Bonaire’s hidden sites. Board the Big Foot Unimog, and explore the island’s desert eastern coastline, enjoy kuminda crioyo (local food) at lunch at an off-the-beaten-path restaurant, and then finish off the day with a snorkel trip through Bonaire’s mangroves, the nursery to the island’s famous reefs. Upon your return, refreshments and snacks will be served on the beach to complete your day! Also available are tours to the south to see Bonaire’s famous pink flamingos, and to Rincon, the oldest settlement on the island. For more information, telephone +599-717-8778, visit their web site at http://www.bonairetours.com, or send an e-mail to info@bonairetours.com. Long time favorites Donna & Giorgio’s have opened a quaint little restaurant serving breakfast and lunch Monday through Friday from 9:30 to 3:00 PM, lunch on Saturday and dinner on Friday evenings are by reservation only. The breakfast menu includes tostis and several egg items, with the lunch menu including pastas, soups, salads, and sandwiches to eat in or take away. The intimate restaurant is tastefully decorated with a bar area for coffee, drinks, and single diners, and a few small tables for outdoor seating. The restaurant is just north of downtown at Kaya Grandi 52 and the phone number is +599-717-3799. Porto Deli is a brand new wine bar with tapas offering breakfast, lunch and early dinner. The deli serves homemade salads, sandwiches, burgers, and fresh bread and is conveniently located on the oceanfront promenade. Diners can choose to eat outside on the patio, or inside, in the air-conditioning. The restaurant is open daily from 8:00 AM to 8:00 PM, except Sunday, and the phone number is +599-717-3997. Caribbean Club Bonaire welcomes all of their guests to their newly renovated restaurant “Kas” where you can enjoy local cuisine and international wines. Kas focuses on dishes from Bonaire, for guests to experience the island’s local cuisine. Their signature dishes include sopi iguana (iguana soup) and kabritu stoba (goat stew). For more information call 1-800-906-7706, visit their web site at http://www.caribbeanclubbonaire.com, or send an e-mail to info@caribbeanclubbonaire.com. 4 Seasons has opened at Kaya C.E.B. Hellmund 17, serving French and International food for dinner. The restaurant will completely change the menu every three months to reflect the new season and has both indoor and outdoor covered dining. They are open every night except Tuesday, and reservations may be made by calling +599-717-4166. C’est La Vie has opened across from the Catholic Church in Kralendijk on Kaya Libertador Simon Bolivar. It is a classic Dutch pub serving a daily barhop menu for dinner. It is closed on Sunday and Monday, and the phone number is +599-788-1066. Catering Service Skottelbraai makes a special type of South African BBQ, known as skottelbraai and will deliver it anywhere on the island as part of a complete package including the BBQ, salads, plates, and flatware, so diners can avoid shopping, dishes, and hassle. The delivery is free, and the next day they will pick up the plates and flatware. To arrange a BBQ, call +599-796-6868. For those with a sweet tooth, Yankee Donuts has opened on Kaya Simon Bolivar #26c, in front of the Catholic Church in town. They are serving delicious American-style donuts, bismarks, fritters, muffins and cakes and hope to add bagels and small sandwiches in the future. They are also offering 16 different types of tea, coffee and juices to accompany your treat, and have special pricing for bigger purchases of donuts for parties and gatherings. They are open daily from 9:00 AM until 7:00 PM but are closed on Sundays. The phone number is +599-717-5661. Buddy Dive Resort: For the fourth consecutive year, Buddy Dive Resort is proud to host the Buddy Dive Freediving Event, May 5-19, 2012, led by Brazilian freediver, Karol Meyer. Karol broke 7 world records in her career and is considered one of the most complete athletes in the history of the sport. Karol will hold evening presentations to share her exciting adventures, offer special workshops, i.e. “Breathing/Apnea Tips” where you can relive those special moments with the champion. She is also offering a Freediving Clinic for those who are interested. For more information visit their website at http://www.buddydive.com/events/buddy-dive-freediving-event.html or send an e-mail to info@buddydive.com . Also at Buddy Dive Resort: this year they are teaming up with Dive Rite and TDI for Technical Dive Demonstrations, Presentations and Trainings during the weeks of October 13-20 and October 20-27, 2012. Additionally, Special Equipment, Materials and Fills will be available during the event. For divers who have not experienced Rebreather or Sidemount Diving, Free Demos will be available throughout the week. Educational sessions by leading Dive Professionals will also be available to help educate divers, in this style of diving and technology. For more information visit their website at http://www.buddydive.com/events/buddy-dive-tech-diving-event.html or send an e-mail to info@buddydive.com . Captain Don’s Habitat Bonaire: Captain Don’s Habitat now offers a 2-tank day trip to the far northern dive sites located off shore of Washington Slagbaai National Park. Divers are whisked away on Habitat’s newest dive boat, The Lucky Lobster. The Lucky Lobster has an air-conditioned wheelhouse, fresh water rinse, head, and is very comfortable. The boat leaves the Habitat dock at 9:00 AM and returns at 3:00 PM. Minimum number of guests required is 8 with a maximum of 10 divers. For more information/reservations call 1-800-327-6709, visit their web site at http://www.habitatbonaire.com, or send an e-mail to captaindon@maduro.com. Also new at Captain Don’s Habitat Bonaire: BonPhoto Bonaire is now open and operating on the premises, providing top of the line photography services, courses, and rentals for guests. They also provide a weekly “Week in Review” video shown at the hotel’s Deco Stop Bar every Thursday evening from 7:00 pm – 8:00 pm. Dive Friends Bonaire – Dive Friends Bonaire is pleased to announce the successful completion of their semi-annual PADI Instructor Development Course (IDC). Bonaire now boasts five more PADI Open Water Scuba Instructors. Dive Friends Bonaire will be offering their next IDC, which will begin on May 3rd and continue through May 13th, 2012. 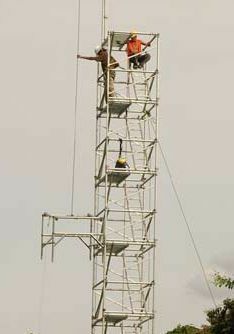 The Instructor Exam conducted by PADI will immediately follow on May 14th and 15th, 2012. Dive Friends Bonaire can assist with on-island arrangements, including special IDC rates for accommodations and/or vehicle rentals. For more information, visit http://www.dive-friends-bonaire.com, or send an e-mail to info@dive-friends-bonaire.com. Diving Bonaire–The Kindle Version: Want a Kindle guide on diving and snorkeling while on Bonaire? Then George Lewbel, marine biologist is the man to see. George has been diving on Bonaire since 1981 and has more than 40 years of diving experience. He has written Diving Bonaire, a Kindle Edition book now available for sale at Amazon. The book describes the best dive sites on Bonaire and Klein Bonaire and provides details on how to get there and what is likely to be seen at each site. Descriptions of sites include information on coral reefs, piers, wrecks, gentle and steep slopes and walls. Details on access, entries and exits, underwater and topside terrain, marine life, photo tips as well as special features of interest are also included. The guide also highlights sites that are particularly good for snorkeling. To purchase this Kindle book on Amazon, visit http://www.amazon.com/Diving-Bonaire-ebook/dp/B006U3QHYO/ref=sr_1_1?s=digital-text&ie=UTF8&qid=1328647656&sr=1-1. DiveHut Bonaire: Former WannadiveHut Bonaire has a new look as they just reopened under the new name “DiveHut Bonaire.” Over the past few months, renovations have been done to all of the rooms, apartments, and restaurant, and this property offers their guests a tranquil location during their stay. For more information call +599-701-0404, visit their web site at http://www.wannadivehutbonaire.com, or send an e-mail info@divehutbonaire.com. Bridanda Apartments: Bridanda Apartments is the newest property to open in Bonaire. Located in Hato, just a few steps away from the sea, the property offers accommodations with luxurious touches in a laid-back ambiance. Guests have several types of accommodations from which to choose: studios or one-bedroom or two-bedroom bungalows, and all sit amid a lush, tropical garden, where there’s also a natural saltwater pool, outdoor shower, Jacuzzi and lounge chairs. For more information call +599-717-3143, visit their web site at http://www.bridanda.com, or send an e-mail to info@bridanda.com. Bonaire Oceanfront Villa 9: Bonaire Oceanfront Villa 9 is pleased to announce the launching of its value-added incentives. Since the villa can accommodate up to ten persons, a family or group of friends can enjoy economical oceanfront living while enjoying all that Bonaire has to offer. For new bookings between now and October 31, 2012, each person staying in the villa will receive a voucher, worth $25.00, toward one of three activities; kayaking at the Mangrove Info Center, a visit to Bonaire’s Butterfly Garden/Kishi Kishi Restaurant, or enjoy lunch or dinner at Sunset Bar & Grill. For more information, visit their web site at http://www.bonaireoceanfrontvilla.com, or send an e-mail to info@bonaireoceanfrontvilla.com. Divi Flamingo Beach Resort & Casino: Divi Flamingo Beach Resort & Casino is celebrating their 60th year in dive hospitality. Opened in August, 1952, the property has completed major renovations to all guestrooms and public spaces. As part of the celebration of the resort’s 60th Anniversary, Divi Flamingo Beach Resort & Casino is offering a variety of packages; why not help them celebrate! For more information, call 1-800-801-5550, visit their web site at http://www.diviflamingo.com, or send an e-mail to flamingocomments@diviresorts.com. Den Laman Condominiums: With recent add-ons, Den Laman Condominiums offer more value than ever before. These value add-ons include free wireless Internet in the condos, plus 24/7 air and Nitrox tank access for divers when diving with on-site operator Bonaire Dive & Adventure. For more information call 1-800-382-1094, visit their web site at http://www.denlaman.com, or send an e-mail to denlaman@diveres.com. Villa Ganshi Bonaire: Villa Ganshi Bonaire, a new beach-front villa, recently announced they are now open for reservations. This newly available beach-front two-bedroom villa offers both privacy and peace, in a unique home felt setting. The property is located on the fringes of Playa Lechi, a mere 15-minute walk from Kralendijk. The villa is tucked away in lush tropical greenery, and it is equipped with all the amenities and comfort one could wish for during their stay. For more information, visit their web site at http://www.villaganshibonaire.com, or send an e-mail to info@villaganshibonaire.com. Sand Dollar Condominiums: Sand Dollar believes that their guests should have the freedom to dive with any of the superb dive operators on the island. For their guests’ convenience, they are now offering dive packages with PADI 5 Star IDC Resort Dive Friends Bonaire. With Yellow Submarine, Photo Tours Divers, and Dive Inn, Dive Friends has four dive operations not far from Sand Dollar where Sand Dollar guests can swap out tanks and two locations for boat diving departures. Sand Dollar offers some of the most spacious and comfortable oceanfront accommodations on island. All units have air-conditioned bedrooms, full kitchens, dining and living areas, and roomy porches or balconies overlooking the Caribbean Sea. For more information, call 1-800-288-4773 or the Florida Office at 1-954-453-5025, visit their web site at http://www.sanddollarbonaire.com, or send an e-mail to Res@SandDollarBonaire.com. Plaza Resort Bonaire: Plaza Resort Bonaire now offers Bonaire’s only All-Inclusive 6D value pack. This complete, all-inclusive package features the bonus of free diving available now through December 17, 2012. Enjoy a vacation where everything is paid for! New experiences on Bonaire await! The resort also reports that their casino will be re-opening again soon. The villas are in phase one of their renovations and the popular Tipsy Seagull now offers room service! For more information call 1-800-766-6016, visit their web site at http://www.plazaresortbonaire.com, or send an e-mail to info@plazaresortbonaire.com. Dive Friends Bonaire’ Dive Retail Outlet: Shopping is always on the list of things to do while on vacation or maybe something was just left behind. Regardless of the reason, the Dive Retail Outlet on Kaya Grandi in Kralendijk is just the spot to find what you need. After extensive renovations, it’s been reopened and is ready for business. With more room for stock, the store has expanded their dive gear product lines, adding in even more dive computers, regulators, fins, BCDs and wetsuits. For more information, call +599-717-3911, visit their web site at http://www.dive-friends-bonaire.com, or send an e-mail to ptdretail@dive-friends-bonaire.com. Located eighty-six miles east of Aruba, the Dutch Caribbean island of Bonaire offers year-round sunshine, low annual rainfall, pristine coral formations and the most thriving fish population in the Caribbean. Ideal for adventurers, explorers and sun-worshippers alike, Bonaire offers myriad eco-adventure activities including world renowned scuba diving and snorkeling, windsurfing, kite boarding, mountain biking, sea and mangrove kayaking, horseback riding, nature tours, hiking, bird watching, sailing and deep sea and bone fishing. And with a selection of accommodations ranging from full-service oceanfront resorts and condominiums to guesthouses and small inns, Bonaire has something for every lifestyle and budget. Bonaire is the recipient of the prestigious Islands Magazine/Caribbean Tourism Organization 2008 Sustainable Tourism Award and continues to be recognized as one of the top destinations worldwide for its sustainable tourism. It’s been selected as the number one Shore Diving destination in the Caribbean/Atlantic for 19 consecutive years in Scuba Diving magazine’s annual Readers’ Choice Awards. This year, it was voted one of the Best Destinations Overall, number one for Marine and Macro life, and Snorkeling also in the Reader’s Choice awards. It was designated by the National Oceanic and Atmospheric Administration (NOAA) as having the healthiest reefs in the Caribbean (January 2008) and in 2011, Bonaire was voted one of the top five Snorkeling Destinations in the Caribbean by the editors of Caribbean Travel & Life. For more information on Bonaire, contact the Tourism Corporation Bonaire in the U.S. at 1-800-BONAIRE or visit Bonaire’s official web site at www.tourismbonaire.com. Follow Bonaire on Twitter and Facebook. In just about a fortnight from now we will be into the 2nd Alliouagana Festival of the Word which takes place from Friday November 12 to Sunday November 14, 2010. We hope that as many persons as possible will find this Programme interesting and will try to find the time to attend and participate in all of the planned activities. Attached is the Programme for the Weekend and you will note that the Pre-Festival Symposium on Thursday November 11 is in honour of the late Alphonsus “Arrow” Cassell. Kindly help with getting this information to as many persons as possible. Please don’t hesitate to get in touch with me if you have further questions. HOLLYWOOD, FL, September 09, 2010 – Responding to travelers’ continued interest in value-driven offers, Breezes Resorts launches the “Early Booking Bonus.” Book by October 31, 2010 for travel between January 1 and December 23, 2011, and save up to $880 per couple on a seven-night getaway. Available at seven Super-Inclusive Breezes properties in Jamaica, Panama, Curaçao and the Bahamas, rates start at $79 per person, per night, based on double-occupancy. Breezes Grand Negril receives high praise from first-time and repeat guests, which garnered the all-suite property a coveted spot on Travel + Leisure’s “Top 25 Hotels in the Caribbean, Bermuda and the Bahamas” survey in 2008. Welcoming guests of all ages, Breezes Trelawny meets high expectations with a rock-climbing wall and a circus workshop featuring flying trapeze lessons. From Jamaica’s first golf school to a PADI 5-star Gold Palm dive center, Breezes Runaway Bay is an idyllic choice for adventures both above and beneath the pristine Caribbean waters. The neighboring Breezes Rio Bueno has a distinct local feel with its quaint Jamaican village-style architecture. The resort is popular for its nine-hole executive golf course and its full-service à la carte Blue Mahoe Spa where the signature treatment is a relaxing seaside massage. The “Early Booking Bonus” is also available beyond Jamaica. Breezes Panama’s convenient location and budget-friendly rates leave time and money for off-property explorations at the only country in the world where the sun rises on the Pacific and sets on the Atlantic. Breezes Curaçao, the island’s only Super-Inclusive resort, beckons world-class divers and water sports enthusiasts alike to explore its 1,500-foot white sand beach whose pristine waters burst with vibrant marine life. Only a few minutes from the airport and just a short stroll from the vibrant town of Nassau, Breezes Bahamas is renowned for its priceless location on Cable Beach. To take advantage of the early booking bonus savings, guests must book their vacations by October 31, 2010 for travel between January 1 and December 23, 2011. A minimum three-night stay is required; discounts vary by resort. Blackout dates apply. For 30 years, Breezes Resorts’ “Super-Inclusive” concept has offered the best vacation value. Make a single payment for accommodations; all meals and multiple dining options including Japanese, Italian and authentic regional cuisine; unlimited premium brand drinks; myriad land and water sports including equipment rental and instruction; entertainment; weddings; recreational activities; and hotel taxes. Tipping is not allowed. To book your “Early Booking Bonus” or to learn more about Breezes Resorts, visit www.breezes.com, call 1 (877)-Breezes, or contact a local travel agent. SuperClubs, the world’s only Super-Inclusive resort group, includes properties in two SuperClubs brand categories: Breezes Resorts – Breezes Grand Resort & Spa Negril, Breezes Rio Bueno Resort & Spa, Breezes Runaway Bay Resort & Golf Club and Breezes Resort & Spa Trelawny in Jamaica; Breezes Bahamas; Breezes Curaçao Resort, Spa & Casino; Breezes Costa Do Sauipe and Breezes Buzios in Brazil; Breezes Panama; and Hedonism Resorts – Hedonism II in Negril and Hedonism III in Runaway Bay, both in Jamaica. Every SuperClubs holiday is Super-Inclusive – accommodations; all meals, SuperSnacks and premium brand cocktails; unlimited use of all sports facilities, including equipment rental and instruction; entertainment; weddings; recreational activities; and hotel taxes. Tipping is not allowed. SuperClubs operates and independently markets affiliate Starfish and ROOMS resorts, and Jamaica’s Negril Beach Villa. For more information or reservations, contact SuperClubs at (800) GO-SUPER (467-8737) or visit their website at www.superclubs.com. ORANJESTAD, ARUBA – As past guests know and food aficionados will love to discover, every meal is a culinary experience at the Divi & Tamarijn Aruba All Inclusives. Offering more tempting food and a wider variety of dishes than typical all inclusives, dining at these two properties is a memorable affair highlighted by stunning ocean views. Plus, guests of the Divi & Tamarijn Aruba can eat at any of the 9 dining options, as guests staying at one property have full use of all services, facilities and amenities of both. Because the Divi & Tamarijn Aruba are both located right on the beach, ocean views and an atmosphere of breezy barefoot charm surround diners at all times. All the properties’ oceanfront dining venues range in style from casual to easy elegance, and all provide open-air seating options for those who prefer to enjoy their meal al fresco. One of these is the Divi Aruba’s signature restaurant, the Red Parrot, which features fine cuisine and attentive service as well as an incredible view of the beach. Among the menu selections at this dinner-only establishment is the slowly roasted prime rib of beef served with haricot verts and gratin potatoes. Other popular delicacies are the sautéed Escargot appetizer and the perfect finish to a beachside meal, the Apple Pie Caribbean made with local cane syrup from the islands. Meanwhile, the Tamarijn Aruba’s signature Paparazzi Restaurant, Bar and Lounge (view photo) practically transports guests to the vibrant heart of Italy. A warmly-colored ceramic tile floor and simple, chic furnishings allows the food to take the spotlight. After feasting on classic Italian fare from rich pastas to fresh fish or tender meat accompanied by a choice vintage to pair with the meal, a rich tiramisu or Frutte Fresche is an excellent way to complete the occasion. In true spirit of the country, the conversation and shared laughter often flows as freely as the wine! For an entirely different type of cuisine, Ginger, the Asian-fusion restaurant located at the Tamarijn Aruba, is characterized by its eclectic, exotic flavors of the East from Spicy Green Curry Chicken with shrimp to assorted sushi and the exquisite Old Fashioned Ginger with Whipped Cream dessert. Many food lovers also enjoy preparing their own tasty meal, so they can have everything cooked exactly the way they like it. For them, the Palm Grill, also located at the Tamarijn Aruba, lets diners have fun stir-frying their own shrimp, swordfish, chicken or beef mixed with fresh vegetables and rice on specialty grill tables. The Divi & Tamarijn Aruba’s chefs are all highly trained and experienced, which is evident by the quality of every meal. Recently added to the staff, Pastry Chef Luimar Olive brings his personal specializations to the menus and has been lauded as “serving the island’s most exquisite desserts.”* Further, the waitstaff is attentive, friendly and eager to attend to a patron’s every need. Add in the beachfront setting and the combination creates an unexpectedly good experience that’s truly all inclusive dining at its best! Located just thirty minutes from the airport and five minutes from Aruba’s capital city, Oranjestad, the Divi & Tamarijn Aruba resorts are set on beautiful Druif Beach, with a shopping arcade and the Alhambra Casino nearby. Guests staying at either the AAA 3-Diamond Divi Aruba or the adjacent, oceanfront Tamarijn Aruba have use of all facilities and services of both properties. All stays at the Divi & Tamarijn Aruba include all meals and snacks at a choice of nine dining options, unlimited beverages at seven bars, the use of three freshwater pools, a wide range of activities including non-motorized water sports and nightly entertainment and offer a variety of packages. In addition, all guests may use the well-equipped Divi Winds Sports Center, which features a 30-foot outdoor rock climbing wall on the beach. All guestrooms now have flat screen TVs as well as brand new mattresses and bedding with super-soft pillow tops, duvets and extra pillows. Honeymoon, Golf, Family and Wedding Packages are available. For reservations and more information about Divi & Tamarijn Aruba, contact your travel professional or 1-800-554-2008 1-800-554-2008 , 207-594-7888 207-594-7888 or visit the resorts’ websites at www.diviaruba.com or www.tamarijnaruba.com. HOLLYWOOD, FL, July 12, 2010 – Travelers eager to embrace summer’s freedom can enjoy an easy and very affordable all-inclusive vacation August 1 through December 24, 2010 at eight SuperClubs Resorts in the Caribbean when they book by August 31. With prices from just $72 per person per night, the SuperSale saves families, singles, and couples up to 55 percent off stays at six Breezes Resorts in Jamaica, Curaçao, and the Bahamas, plus Jamaica’s famous Hedonism II and the soon-to-launch SuperFun Resort & Spa. Families with little ones will find a wealth of family-friendly activities at Breezes Trelawny and Breezes Curaçao. The resorts’ multiple pools and long stretches of private beach offer a myriad of complimentary adventures including snorkeling, windsurfing, sailing and beach volleyball. Both resorts boast complimentary Kids Clubs that offer younger guests the chance to participate in mini-golf competitions, rock climbing, arts & crafts and karaoke sessions (programs vary by resort). Vacationers who like to keep active while away will enjoy Breezes Runaway Bay and Breezes Bahamas, which offer the perfect combination of fitness and pampering. Jamaica’s Breezes Runaway Bay is a golfer’s paradise with its PGA-quality course and green fees, transportation and instruction included with stays. Off the fairway, water and land sports of every kind are on offer, and when it’s time to chill out, guests can laze by the pool in one of the resort’s cabanas or hammocks. Breezes Bahamas, on Cable Beach in Nassau, welcomes friendly competition on its three lighted tennis courts and its 30-foot rock-climbing wall. After heated matches, guests can cool down in five freshwater pools or mosey up to four bars for a tropical drink taste test fest. Reminiscent of traditional Jamaican villages, Breezes Rio Bueno’s cobblestone street, town square and gingerbread-style buildings set the scene for an intimate getaway. Its sugary beach and full service Blue Mahoe Spa are popular spots to while away languid days. Couples can also lounge in comfort at Breezes Grand Negril, which boasts a two-mile crescent of white sand beach and 22 acres of elegantly manicured gardens that offer the perfect blend of exploration and relaxation. Foodies at both properties will delight in a choice of six restaurants featuring a range of local fare, fresh sushi and hibachi-style Japanese to French Nouveau fine dining. Couples and singles (18 and over) seeking a slightly more rowdy escape will find plenty of thrills at Negril’s Super-Inclusive Hedonism II and Runaway Bay’s new all-inclusive SuperFun Resort & Spa, which opens its doors on October 14. The adult playgrounds offer a chance to embrace the carefree freedom of the Jamaican Irie lifestyle with weekly themed parties, a host of bars and live entertainment throughout the day. For more than 30 years, SuperClubs’ “Super-Inclusive” concept has offered the best vacation value. A single payment covers accommodations; all meals and multiple dining options including Japanese, Italian and authentic regional cuisine; unlimited premium brand drinks; myriad land and water sports including equipment rental and instruction; entertainment; weddings; recreational activities; and hotel taxes. Tipping is not allowed. Blackout dates apply, and a minimum three-night stay is required. All trips must be booked by August 31, 2010 for travel through December 24, 2010. To book your SuperSale vacation, visit www.superclubs.com, call 1-800-GO-SUPER (467-8737) or contact your travel agent. SuperClubs, the world’s only Super-Inclusive resort group, includes properties in two SuperClubs brand categories: Breezes Resorts – Breezes Grand Resort & Spa Negril, Breezes Resort & Spa Rio Bueno, Breezes Runaway Bay Resort & Golf Club and Breezes Resort & Spa Trelawny in Jamaica; Breezes Bahamas; Breezes Curaçao Resort, Spa & Casino; Breezes Costa Do Sauipe in Brazil; Breezes Panama; and Hedonism II in Negril and SuperFun Resort & Spa in Runaway Bay, both in Jamaica. HOLLYWOOD, FL July 7, 2010 – Families looking for a late summer or fall getaway can indulge in Breezes Curaçao’s wallet-friendly “Curaçao WOW” promotion. Guests visiting the Super-Inclusive resort August 15 through December 15 will enjoy five nights in the Dutch Caribbean and pay for only four, starting at just $580 per person per stay. Trading appointments and carpools for swimming and snorkeling, is even more appealing since children 12 and under stay free with paying adults. For fun in the sun, Breezes offers a private white-sand beach and three swimming pools including a misting pool, children’s pool and adult pool with swim up bar. While mom and dad enjoy some peace and quiet, little ones are kept very happy playing with their peers at the resort’s 12,000 sq. ft. “Kids Club,” where hotel staff supervise and lend a helping hand during arts & crafts, sand castle competitions, and rock climbing – for those a bit older and more adventurous. A daily nanny-supervised nursery for infants and toddlers up to 2 years old is also available on a complimentary basis, allowing parents a true mini-vacation of their own. The resort also boasts an arcade and professional Circus Workshop for teenage guests and those young at heart, with flying trapeze and juggling lessons. Those in search of serenity can escape to the tranquility of the on-site Blue Mahoe Spa, where a variety of à la carte treatments are available. Treatments such as the popular Island Scrub features products made from the purest ingredients of land and sea. For the active among us, Breezes offers guests a myriad of activities including snorkeling, pool volleyball, kayaking, basketball, sailing and more. Breezes guests also have the opportunity to explore the island and Willemstad with free shuttle service. The colorful capital, a UNESCO World Heritage Site, is home to boutique shops, some offering local herbal remedies, restaurants serving up regional produce and Venezuelan-style barbeques, and a number of markets including the “floating market” featuring merchants selling fresh produce from small fishing boats. For an up close look at the island’s wonderful sea life, guests can visit the Curaçao Seaquarium, which is right next door to the resort. Here visitors can see dolphin and sea lion shows, pet a shark and even swim with giant sea turtles. The Super-Inclusive resort boasts five restaurants, including the beachfront Starlight Grill serving fresh fish and local fare, and the outdoor Munasan restaurant, where hibachi chefs cook dinner right in front of you. Breezes’ Bon Bini atmosphere pervades the evening entertainment with live music from resident bands, well-known local entertainers, and plenty of room on the poolside dance floor. Breezes Curaçao’s Super-Inclusive vacation package includes: accommodations, all meals, SuperSnacks and unlimited premium brand cocktails; all land and water sports activities, with equipment rental and instruction; one complimentary shore dive per day; recreational activities; entertainment; airport transfers and hotel taxes. As with all Breezes Resorts, no tipping is allowed. A three paid-night minimum stay is required for the “Kids Stay Free” promotion. When booking five nights or more, guests receive one night free as part of the “Curaçao WOW” offer. Trips must be booked by September 1 and travel is valid August 15 through December 15. To book your vacation at Breezes Curaçao, please visit www.breezes.com, call 1-877-BREEZES (273-3937) or contact your local travel agent. You must reference CWOW to receive this offer. SuperClubs, the world’s only Super-Inclusive resort group, includes properties in two SuperClubs brand categories: Breezes Resorts – Breezes Grand Resort & Spa Negril, Breezes Resort & Spa Rio Bueno, Breezes Runaway Bay Resort & Golf Club and Breezes Resort & Spa Trelawny in Jamaica; Breezes Bahamas; Breezes Curaçao Resort, Spa & Casino; Breezes Costa Do Sauipe in Brazil; Breezes Panama; Hedonism II in Negril and SuperFun Resort & Spa in Runaway Bay, both in Jamaica. HOLLYWOOD, FL, March 18, 2010 – Though checked-baggage fees may be soaring, Breezes Resorts guests can have an overweight or second bag and check it in too – without breaking the bank. The innovators of the Super-Inclusive concept just elevated their encompassing offerings with the announcement of the “Baggage Fee Included” promotion. With every seven-night minimum stay May 1 through October 31, travelers can trade-in their checked-baggage fee receipt for up to $100 spa credit per room. Available at eight Breezes Resorts in Jamaica, Panama, Curaçao, Brazil and the Bahamas, Super-Inclusive rates start at $120 per person, per night, based on double-occupancy. Upon arrival at the hotel, the burden of the airline surcharge to take an overweight or second bag with extra shoes and outfits, golf clubs or scuba equipment needed on a weeklong stay, is converted into bliss. The spa credit ensures a rejuvenating vacation where each Blue Mahoe Spa at Breezes Resorts, as well as the Miraflores Spa (only available at Breezes Panama), uses an exotic combination of island ingredients to relax and pamper. Treatments range from the Caribbean Peppermint Scrub, which features island mints drawn and blended with essential oils and sea salts used to invigorate the circulatory system while exfoliating the skin; to Island Treasures, a seaweed body treatment that rids the body of impurities while restoring the skin’s natural glow; to the Sun-Kissed Aloe Wrap, perfect for sun lovers as the treatment helps calm and re-moisturize overexposed skin. Breezes Resorts’ all-star line up in Jamaica includes the all-suite Breezes Grand Negril, named one of Travel + Leisure’s “Top 25 Hotels in the Caribbean, Bermuda and the Bahamas” in 2008 and Breezes Trelawny, a favorite for all ages with four swimming pools, a rock-climbing wall and a circus workshop featuring flying trapeze lessons. Adventure buffs enjoy the thrill of Breezes Runaway Bay’s plentiful land and water activities including a golf school and scuba diving lessons, while neighboring Breezes Rio Bueno boasts quaint Jamaican village-style architecture, festive street parties and a nine-hole executive golf course. The “Baggage Fee Included” promotion is also available at Breezes Resorts beyond Jamaica. Discover Central America’s southernmost country with accommodations at the brand new Breezes Panama, which opened on October 1, 2009 as Breezes’ first Panamanian property. Breezes Curaçao, the island’s only Super-Inclusive resort, beckons world-class divers and water sports enthusiasts alike to explore its pristine waters teeming with vibrant marine life. Breezes Bahamas’ beachfront accommodations are a perennial close-to-home favorite on legendary Cable Beach in Nassau, while those seeking an extra exotic escapade in the southern hemisphere enjoy Breezes Costa Do Sauípe in Bahia, the perfect spot from which to delve deep into the region’s natural wonders with tours to the Amazon and the incredible Iguazú Falls. For more than 30 years, Breezes Resorts’ “Super-Inclusive” concept has offered the best vacation value. A single payment covers accommodations; all meals and multiple dining options including Japanese, Italian and authentic regional cuisine; unlimited premium brand drinks; myriad land and water sports including equipment rental and instruction; entertainment; weddings; recreational activities; and hotel taxes. Tipping is not allowed. The “Baggage Fee Included” offer is valid for travel to any Breezes Resort May 1 through October 31, 2010. At hotel check-in, guests must show their original checked-baggage fee receipt from the day of arrival to receive up to $50 per person spa credit to be used during their stay. To learn more about Breezes Resorts or to book your next vacation to a Breezes destination, visithttp://www.breezes.com www.breezes.com, call 1-877-BREEZES (273-3937), or contact a local travel agent. SuperClubs, the world’s only Super-Inclusive resort group, includes properties in two SuperClubs brand categories: Breezes Resorts – Breezes Grand Resort & Spa Negril, Breezes Rio Bueno Resort & Spa, Breezes Runaway Bay Resort & Golf Club and Breezes Resort & Spa Trelawny in Jamaica; Breezes Bahamas; Breezes Curaçao Resort, Spa & Casino; Breezes Costa Do Sauipe in Brazil; Breezes Panama; and Hedonism Resorts – Hedonism II in Negril and Hedonism III in Runaway Bay, both in Jamaica. Lost your 2009 gift receipt? Just e-mail us for a copy, we’ll be happy to send you one by e-mail! OTS Auction Opens on Monday! 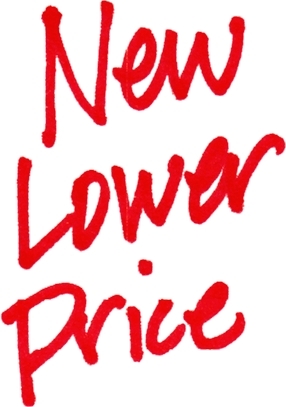 The OTS online auction will open at 8:00 EST, February 22, 2010! We will continue to accept items until February 18, 2010. The auction will coincide with our Annual Meeting in Costa Rica. Bring nine of your closest friends for a 4 hour cruise along the South Pacific of Costa Rica observing whales and dolphins as they jump and play in their natural environment. Pacific Quest, a 110′ catamaran based in Dominical, allows you to sit back and relax on the open, upper observation deck with a tropical drink from the bar as the on-board naturalist answers your questions. More information about our tour is available at http://costaricawhalewatching.com/ Advance reservation is required for groups of 10 or more. Maximum capacity is 100 passengers, plus crew. Humpback Whales are in Costa Rican waters from January through March and July through December. Other species of cetations are seen year round. Pacific Quest is a member of the Responsible Whale Watch Operators Association. 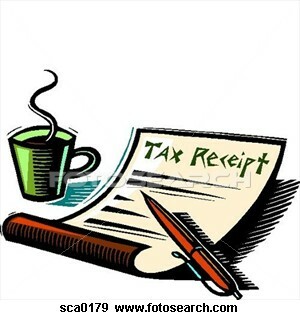 As a non-profit organization, all auction donations are considered tax-deductible according to applicable US tax laws. If you have an item you are considering donating to the auction, please contact Cathleen Lemoine at OTS, 919-684-6969 919-684-6969 , or e-mail cathleen.lemoine@duke.edu. Biology 134L Field Tropical Biology offers students the exciting opportunity to study first-hand the evolutionary ecology of important plant and animal taxa in tropical ecosystems. Course design emphasizes intensive field work and visits all three OTS field stations as well as other sites. Students are thus introduced to a great diversity of tropical habitats, each possessing distinctive biotas that in turn demonstrate unique evolutionary histories and ecological dynamics. As part of the course, students work closely with resident professors in the design, implementation, and interpretation of their own independent research project in field ecology. Independent projects allow students to learn science by doing science in a beautiful and challenging tropical setting. Results are presented orally following the protocol of a scientific meeting. Students also submit a formal research report which becomes part of the permanent records of OTS field stations. The course concludes with a short unit on conservation biology, including the application of island biogeography to reserve design and management, as well as the impact of deforestation and fragmentation. Upon successful completion of the program, students will receive one course credit from Duke University. Application Deadline: February 16, 2010 for priority admission, followed by rolling admission until fully enrolled. 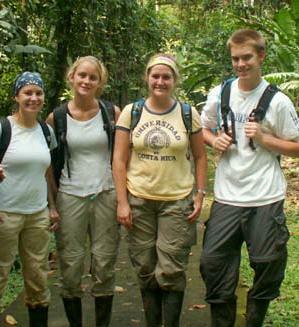 A two-week immersion course for graduate students engaged in or planning field research on tropical Lepidoptera. 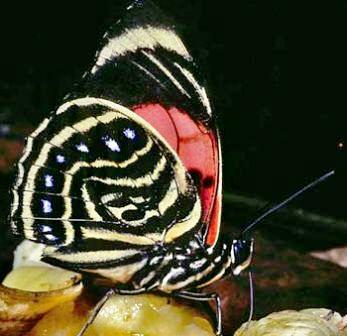 The course draws upon the coordinator’s expertise and 30+ years of work on butterfly ecology and evolution in Central and South America, Africa, Southeast Asia, Madagascar, China, Borneo and Australia. 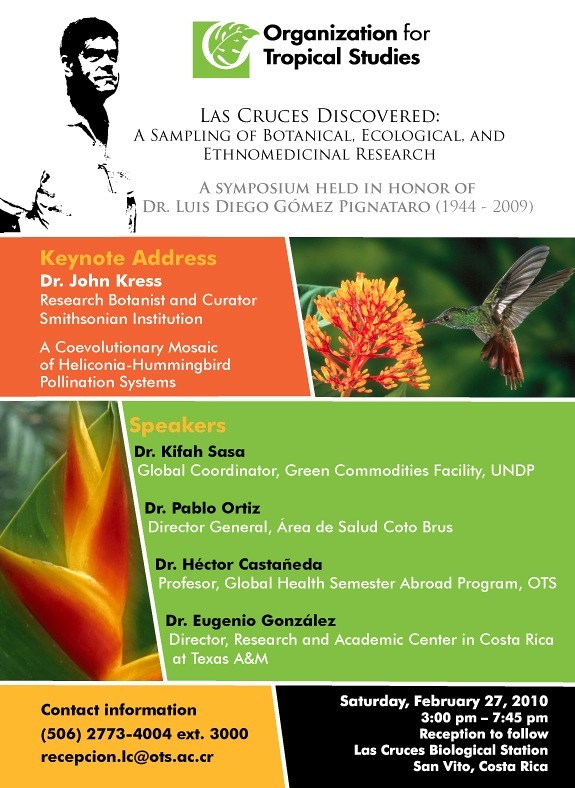 Based at La Selva in Costa Rica, topics will include field methods, ecology and evolution of butterfly-ant symbioses, behavioral ecology, mimicry, ecological physiology, quantitative natural history and future directions in this field. Application Deadline: February 15, 2010 for priority admission, followed by rolling admission until fully enrolled. Application Deadline:March 10, 2010 for priority admission, followed by rolling admission until fully enrolled. This two week course is oriented towards graduate students and post doctoral fellows interested in intense field training in the collection, identification and inquiry-based research on the Heteroptera or True Bugs, which are well represented in the highly diverse tropics. Field collection, lab identification, and hands-on research experience on Heteroptera will be complemented by a lecture series on their natural history and classification. 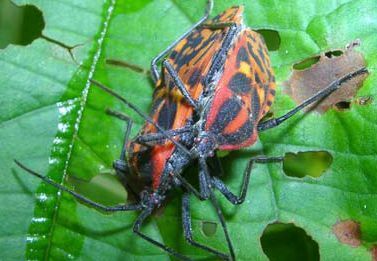 This program will enhance participants’ abilities to work on the ecology and systematics of this megadiverse group that includes important disease vectors, crop pests, and natural enemies. The course will take place in wet forest habitat at the La Selva Biological Station, including if possible sections of the Barva transect, as well as in the dry forest habitat and wetlands surrounding the Palo Verde Biological Station. With funding from the National Science Foundation, the Organization for Tropical Studies will conduct a conduct a Pan-American Advanced Studies Institute (PASI) to introduce tropical ecologists from the Americas to recent developments in embedded sensor networks. Embedded Sensor Networks offer a powerful combination of distributed sensing capacity and open possibilities for countless applications in ecological research. The frontiers of ecology expand as biologists think of new applications and engineers develop the necessary tools to increase our understanding of how ecological systems work. OTS is offering an exclusive tour for birding enthusiasts into Western Panama and the Smithsonian’s Barrio Colorado Island research station on the Panama Canal. 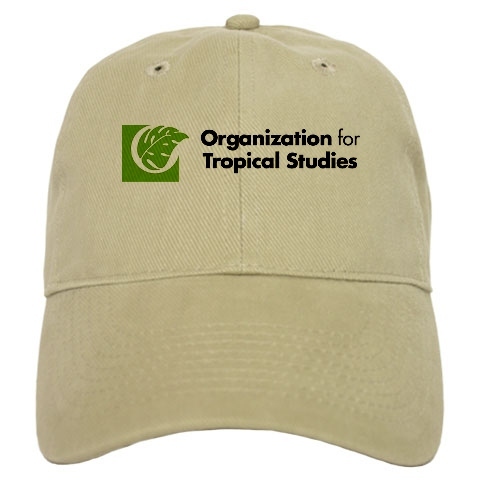 Organized through the OTS BioCursos program, which provide adult education packages in Costa Costa, this one-week trip starts shortly after the OTS annual meetings to be held this year in southern Costa Rica at Las Cruces and the Wilson Botanical Garden. as the group travels across the border and down into Panama. Bird enthusiasts, plant lovers, hummingbird and butterfly aficionados — whether you are a part of the OTS boards or part of the friends, alumni or research community — are welcome to join us. Everyone will be thrilled to discover the spectacular biodiversity of the region! Please see our link for additional information. Do know, we will be happy to work with you in making your travel arrangements to Costa Rica and Panama. Contact Jonathan Giles at 919-684-6188 919-684-6188 or jgiles@duke.edu. The Palo Verde Station is currently in its third year of a grant for International Research Experiences for Students, sponsored by NSF. Graduate students in the early stages of their careers have been selected on a competitive basis from educational institutions throughout the United States. Once selected, they spend 10 weeks working with OTS scientists on research projects in tropical biology, such as wetlands restoration, flood control, water usage, and reducing negative agricultural impacts on the region. Jennifer Bufford (University of Hawai’i Mānoa, top), an IRES (International Research Experiences for Students) participant, and assistant Poling Chan (Knox College, bottom) are measuring the species richness of three different aquatic plant communities, which correspond to different management (fangueo) regimes in the Palo Verde marsh. 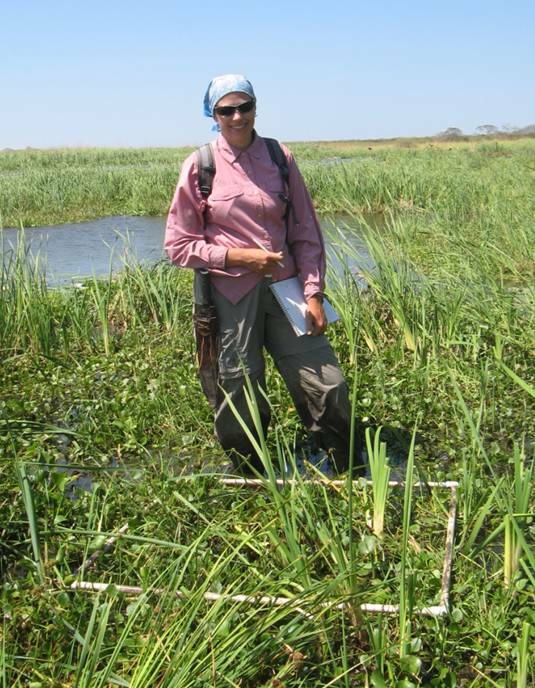 Jennifer is also monitoring bird use of these habitats and will examine the seed bank and regeneration in the field. 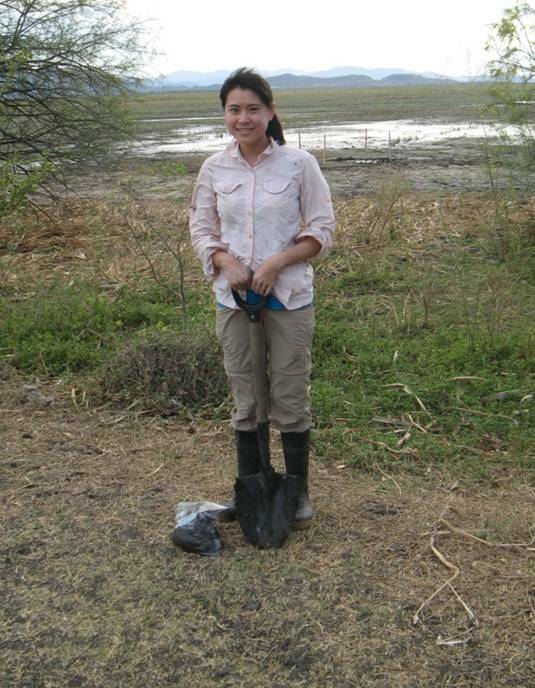 The IRES program provides a unique opportunity for graduate students to develop research at Palo Verde. So far, 12 young researchers have participated in this program. This IRES project allows OTS to offer an international, collaborative research opportunity to U.S. students at a point in their education when such international mentorship and professional relationships can have the greatest impact on the selection of research questions, research design, study systems, and study locations. The work with local farmers, technicians, and extension agents has a dramatic impact on the entire local community as well as on a wider audience. For more information, please contact Mahmood Sasa, Palo Verde Station Director at mahmood.sasa@ots.ac.cr.